It wouldn’t be Thursday morning without a fresh episode of the top rating podcast Two Blokes Talking Tech. 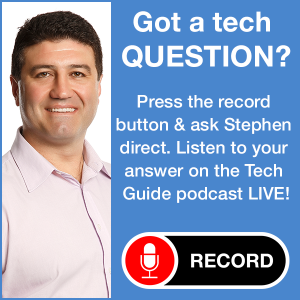 This week our two “blokes” – Tech Guide editor Stephen Fenech and Trevor Long – discuss Telstra’s cap on bill shock, Dell’s XPS 15x laptop and the Asus Eee Pad Transformer. Other topics in TBTT Episode 14 include the new Bose VideoWave TV, Panasonic’s global classroom and HTC’s Incredible S.
The podcast also takes a look at IBM’s survey of innovation and Amazon’s recent announcement that ebook sales have overtaken printed books for the first time. The TBTT podcast can be heard right here on the Tech Guide site using the TG Radio audio player at the top of the page. Just click Playlist and you’ll see Episode 14 at the top of the list. Or you can choose to hear any of the earlier episodes of Two Blokes Talking Tech. 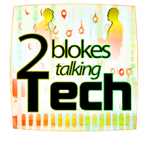 The podcast can also be downloaded through the Two Blokes Talking Tech website. Listeners can also subscribe to the popular weekly tech podcast on iTunes.